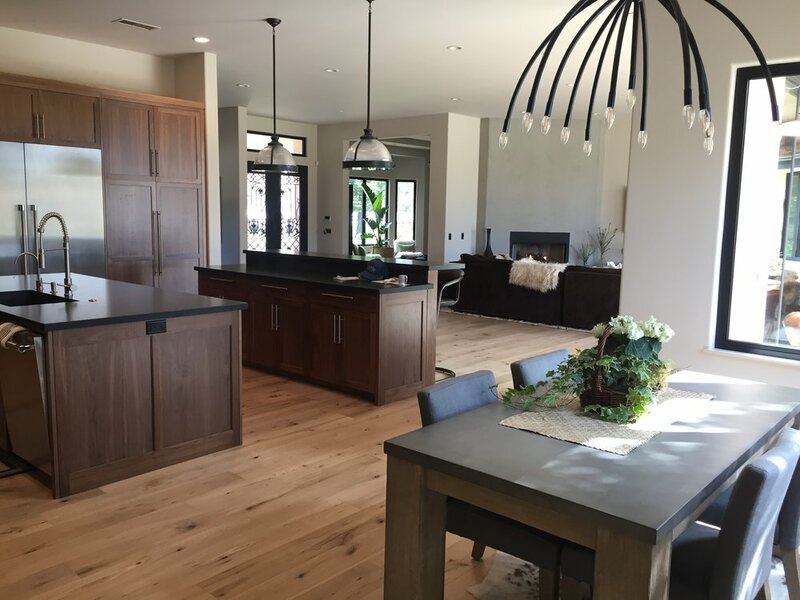 This remodel required a transitional floor that would provide a certain amount of rustic character to the home and contrast to the darker furniture and fixtures, while still looking contemporary. Ruggia from Beauxbois’s Quickship collection was chosen for this purpose. The silky smooth modern milling of this board provided the necessary foil to the knotty appearance of the wood itself.